Need Custom WordPress Website Design? Sparta Web Solutions is owned and operated by a Vancouver based WordPress designer with over 15 years of software / web development experience. Our experience with Custom WordPress website design and development provides clients with flexibility in their web projects. We are highly skilled in creating new WordPress themes, or implement existing WordPress premium themes for single site and multi-site installations. WordPress is the most popular and powerful free open-source publishing software that can be used as a content management system (CMS), software that makes it easy to organize and manage web content without any technical knowledge. WordPress was originally developed in 2003 as a blogging tool and has since grown to be the largest self-hosted blogging tool in the world. It is not just a platform to empower blogs; it can actually meet all your business needs and can incorporate a variety of other website topologies from full blown CMS systems to specific home-grown uses such as brochure sites, product micro sites, one-off shell sites and feature rich e-commerce sites. It gives you full control on your site; you can manage and add new pages to your site without any technical knowledge. WordPress may be small in size, but due to its ease of use and cost effective development framework it enjoys a wide reaching scope. Organizations that have employed the use of WordPress now include eBay, Yahoo, Wall Street Journal, CNN, Forbes, Sony, Samsung, VW and many more. With over 25 million websites using WordPress it is the world’s most popular content management system (CMS). There are a variety of reasons for its popularity. Most notably, it offers simple administration, an incredible control over design, easy to learn, easy to manage, has a wealth of extensions and lastly has a large number of developers able to provide free WordPress themes and templates. 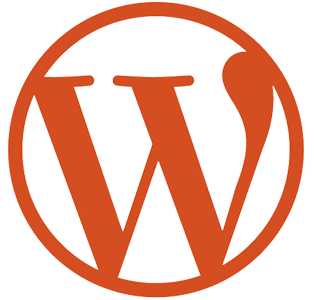 We love and enjoy WordPress because it is simple to install and maintain, while benefiting end-users such as you with a simple and intuitive interface. WordPress is one of the easiest content management systems to use, even for people with little to no technical abilities. The only thing you need to know is typing. Conversely, if you wish to have your existing site ported to WordPress our software engineers can migrate all your existing content into a fresh WordPress installation and updated design. We can also turn your existing design into wordpress theme if preferred. We have experience with HTML/XHTML to wordpress migration, Joomla to WordPress migration, and asp.net to WordPress migration. The good news is that the move to WordPress will provide you or your staff with an intuitive interface to keep your site up-to-date without any extensive technical knowledge while allowing your organization flexibility in providing additional site features moving forward. If you don’t own a website yet, or your website is out of date, we can design and develop custom WordPress themes or templates. All of our WordPress designs are hand-crafted and tailored specific to your brand, service and product requirements. Have a look at our web design portfolio to see some example of our website designs.